Matt Batman shows some fancy footwork during Madison's varsity soccer match with Strasburg. Matt scored a goal and Nick Camillucci scored two to give Madison their first win of the season, defeating the Rams 3-0. 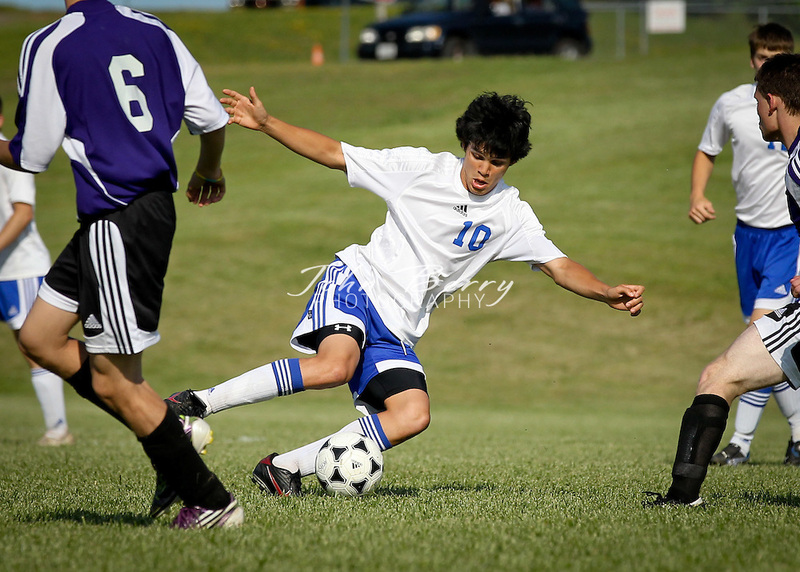 May/10/11: MCHS Varsity Boys Soccer vs Strasburg. Madison defeats Strasburg 3-0.